WHILE Rockhampton gets its share of attention as Australia's Beef Capital, Alice Mabin has her focus on a much wider range of industries across the agriculture sector. It was in June 2017 when Ms Mabin set off with her camera on a solo journey across Australia, travelling to 551 properties in 331 days. She visited a property for each and every industry in the agriculture sector. "If there is a farm turning a dollar, I've covered it. Cattle, sheep, pearl farming, marijuana, you name it, I've seen it," she said. Ms Mabin has compiled her captivating images into a book series. It was planned to be just one book but the journey provided much more than she envisioned and now two large books have been published. Under the head title of The Grower, The Heartbeat of Australia focuses on properties with animals while the The Roots of Australia shared images of the crops grown in the ground. "The books represent a unique thing - it documents the entire industry comprehensively and get a good understanding to what our industry represents," Ms Mabin said. "It encompasses every single facet of agriculture that turns a profit." Across these two books, which were only released two weeks ago, a number of Central Queensland properties are featured. The Central Queensland region is home to a multi-million agricultural industry that is more than just beef - it encompasses cotton, grain and fruit production. In 2016-17, the gross value of agricultural production in the Fitzroy region was $1.5 billion. This was 10 per cent of the total gross value ($14 billion) of agricultural production in Queensland. Incredible images of Australias drought: "This drought is feeling like it will be around a while"
The region makes up for nearly a quarter of Queensland's total exports, contributing significantly to the $13 billion primary industry sector. The latest Australian Bureau of Statistics data indicated from 2015-16, there were 2, 128 farms in the Fitzroy region, equalling 12 per cent of all farm businesses in Queensland. 1, 636 of these farms specialised in beef cattle. Ms Mabin visited various farms in the region from various types of beef operations and a piggery. "You have to make sure you have a really good scope across the sector," she said. "You don't want to end up five beef operations from the one area, you want a beef, sheep, banana, you want diversity." 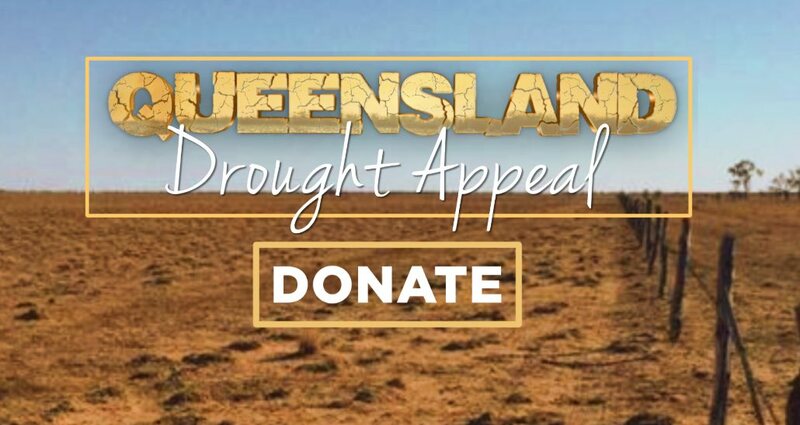 Queensland is a very diverse state which is often just misconceived for the tropics up north and the dry out west. In the middle of it all, there is Central Queensland. "That central area is so productive, there is a lot going on," Ms Mabin said. "It is a little hidden, unless you get off the beaten track, most of that good country is off the highway, out towards Emerald." Ms Mabin took the images as she hung alongside farmers and graziers in their day-to-day lives. "My biggest goal was to make sure that the photograph I took dictated them in a completely different way than anyone else's," she said. The images aren't of mustering cattle, harvesting crop and doing those big jobs but fixing water pipes, fencing, general stock health and weeding. "They are all part of that agriculture year," she said. "I wanted to show what goes on across each operation. "You want to show that whole mirage of doing things." Coming back to the region earlier this year for the triennial Beef Australia 2018 expo, Ms Mabin was excited to be immersed in the city as it was going on. The books can be bought at Allenstown News, Rockhampton and NewsXpress, Emerald. "We looked at what the industry prepares for to showcase that agricultural show," she said. "These things only happen every three years and it was such a big part of the industry. "If you ran that every year it wouldn't be what it is, every three years makes it what it is. "How lucky am I to meet so many people and hear the stories." Hearing the stories, the trials and tribulations and getting to know each family has been an emotional and inspirational experience. Especially now as the drought continues to take hold over most of the eastern seaboard of Australia. "They are not giving up, they really do soldier on through so much stuff," Ms Mabin said. "You had to learn to leave that stuff at the gate and move on. "That is the big thing - when so many farmers are going through the drought, you don't meet a tougher breed than them." The books are a way Ms Mabin found to honour and recognise the farmers who are doing some incredible work in very challenging situations, like the drought and various weather events including Cyclone Debbie who struck just before she began her journey. "That needs to be highlighted, they are dealing with it, they were working with it," she said. "They get on with it because that is their life. "They are so invested in what they do, they can't afford to fail." Taking a fresh perspective on what is usually promoted as a dark, harsh topic, Ms Mabin said a drought can be a beautiful thing. Growing up in New Zealand, Ms Mabin had always been surrounded by green, grassy country until she came to Australia and moved to Queensland. Drought has a way of bringing out the strength in everyone. "I look at drought and I just see beauty, I see the heartache and it is where I find the biggest beauty and where I can draw the biggest compassion," she said. "It really speaks to the nature of what our farmers have to deal with. "You see the drought and you see the harshness, it is a rawness and survivability. "You see the strength in the livestock even trying to dig deep and survive." Life on the land is becoming further removed from those who live in the city. Ms Mabin found many Australians had lost with the land and there is a growing divide between city and country folk. "The anxiety, the challenges, the isolation for wives brining up children, the isolation people in the city take for granted, they can't just duck to the shops to buy nappies," she said. "One of the things I said to a family is even they take themselves for granted, so many of them are wives, cooks, mothers, nurses, counsellors, banks, they become that everything woman and it is just their everyday life. "These women out there are doing all these things and they don't get a lot of thanks, it is just expected because they are the wives. "It is all a big team effort."